Washington, D.C. – October 16, 2017 – The specialized intellectual property law firm, Winterfeldt IP Group, opened its doors today. The firm is led by Brian J. Winterfeldt, a veteran trademark and Internet attorney who most recently served as Co-Head of the Global Brand Management and Internet Practice at Mayer Brown. The firm offers highly focused, customized services to all organizations seeking advice and counseling in connection with their brand presence, from large global corporations to startups to local nonprofits. At the core of Winterfeldt IP Group’s work are its commitments to both diversity and pro bono service. “Our commitment to the community runs deep, with pro bono work and industry-leading diversity & inclusion efforts,” Winterfeldt stated. All members of the firm participate in these activities, which include assistance to organizations that support LGBTQ youth, LGBT members of the legal industry, persons with disabilities, leadership opportunities for women and girls, sexual assault survivors, and environmental concerns.“We aim to be the leading global solution for complex IP challenges from trademark portfolios to digital assets, such as domain names and social media,” advised Winterfeldt. “Our team is dedicated to learning about each client’s unique needs and to making the process of working with outside counsel as enjoyable as possible.”Winterfeldt IP Group serves clients globally from its headquarters in Washington, DC. For more information, visit: www.winterfeldt.law or call (202) 759-5850. 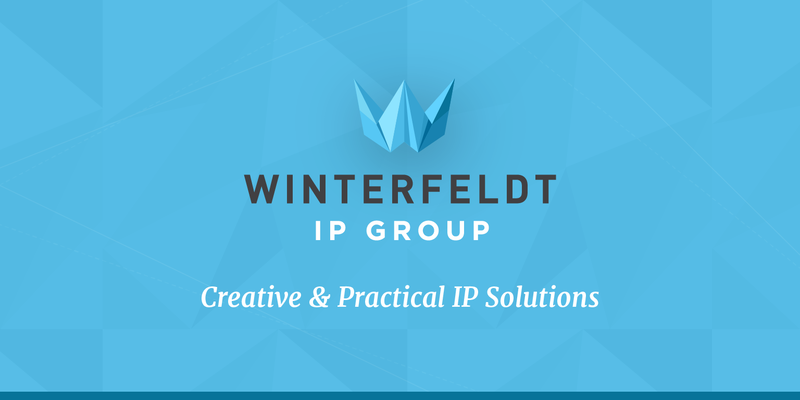 About Winterfeldt IP Group Winterfeldt IP Group is a specialized law firm focused on intellectual property issues, particularly brand management, Internet, and policy matters. Based in Washington, DC, the firm consists of nearly 20 lawyers and other professionals with many decades of collective experience across digital as well as analog platforms, including trademark, portfolio, internet and registry/registrar expertise. The firm has worked with over 100 companies in varied sectors including media and entertainment, retail, internet and tech, consumer products, pharma, financial services and luxury goods. Winterfeldt IP Group has a concierge, creative-driven and practical approach and leverages a global network of partners. Winterfeldt IP Group has a strong commitment to pro bono legal services and diversity, striving to serve as responsible and productive citizens of the legal, local and global communities. For more information, contact: www.winterfeldt.law or (202) 759-5850.